Audrey's Pumpkin Rolls...getting my cake on in South Haven! Well color me surprised! There actually is a real farmer's market in down town South Haven and here I am smack dab in the middle of it on a very, very rainy Saturday. Most of it is covered and surprise, every tourist visiting the town is here with the same idea. Wandering around there are the usual array of veggies, fruits, meats and a larger than normal amount baked goods and things. Seems this place might just be right up my alley. I mean, the ones in SF are fine and all, but you don't see quite this amount of bakery type goods from this many vendors. Fortunately, I've got plenty of time to peruse them, however, dinner time is soon-isn so I will have to be judicious and keep myself to one thing. Yeah, like this one is a surprise. They definitely got the color with the right combination of chocolate cake mixed with red food coloring. Though it isn't as dense as a regular version, these cake rolls were more like a soft, airy sponge cake wrapped around cream cheese icing. Kind of like a giant Ho-Ho without the chocolate covering. Bonus points, this one had quite a bit of frosting to cake ratio going on. 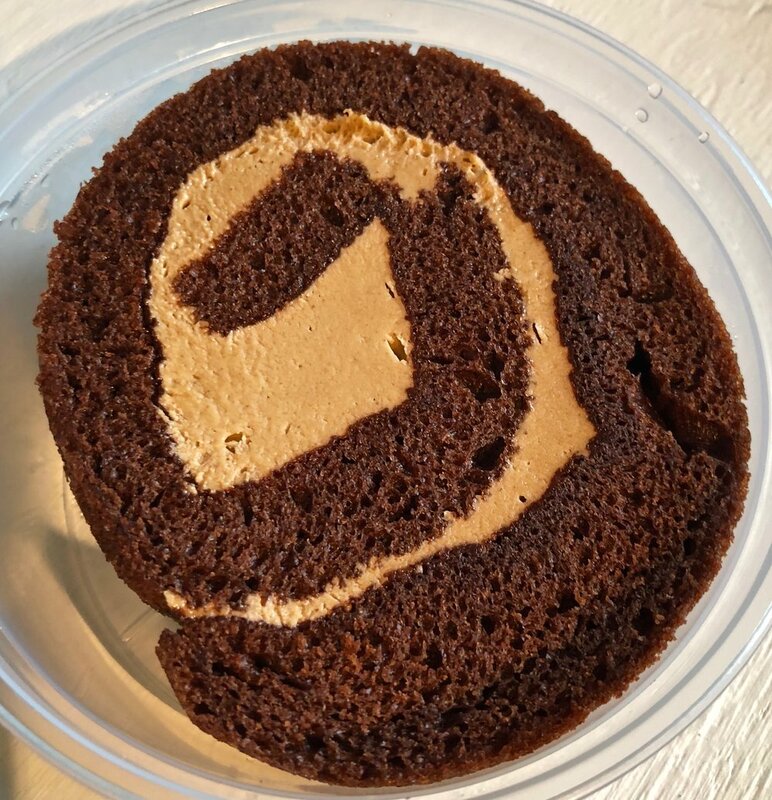 Seemed good to then follow-up with their signature pumpkin cake roll. More of the spongy cake with notes of pumpkin, cinnamon, spices, etc. I think the pumpkin could have been up some more since I like pumpkin things. And as you can see, the icing was shorted here. The cake was more sticky sponge. Not one of my faves. The lemon cake roll had and add in of some lemon curd which I really liked and wanted more of. I felt I got a little shafted on the icing and curd here. Maybe it was just this slice, but that is all I have to go on and this could have used both more curd and icing to really punch up the lemon part since the cake was standard yellow cake. Now the apple spice was better at the whole filling, icing, curd mixture. 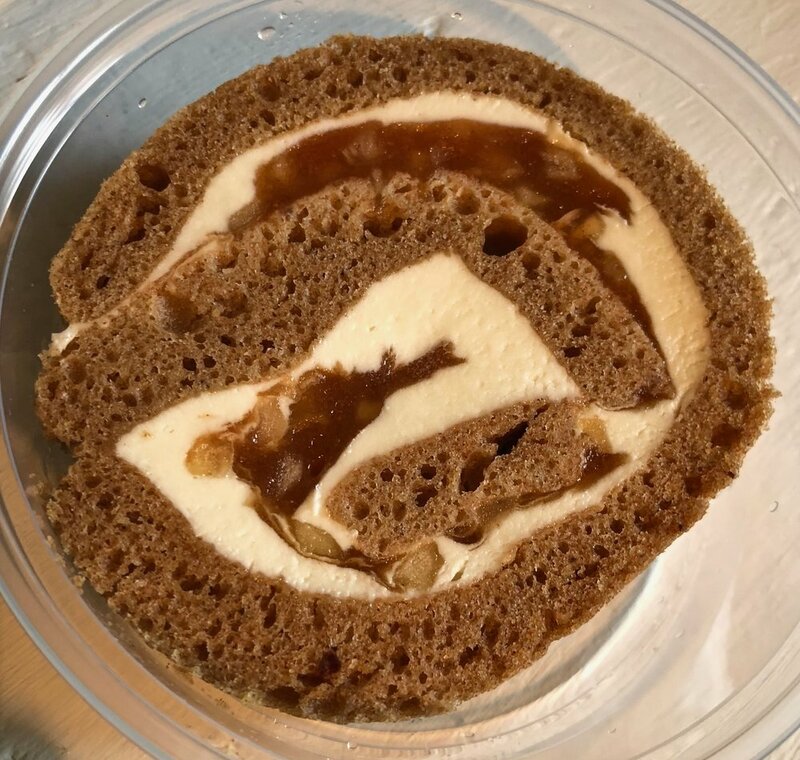 It was a spongy spice cake with the cream cheese icing and sort of an apple pie filling swirl running through it. Weird, it was less cake and more icing on it and no complaints here. Hmmm, maybe I just need a bucket of icing and forget the cake altogether. Still, this was another fave as the apple spice flavor was bold and the cake was light, a nice combination. Definitely a creamy, hefty cake slice which hit all my right notes for tasty dessert. 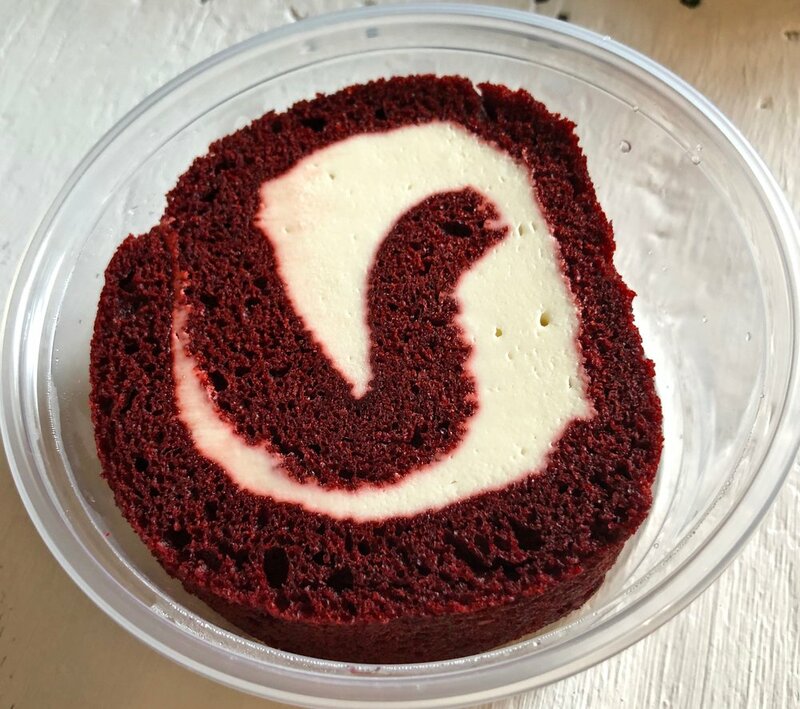 What can I say, I'm a sucker for some cake with cream cheese icing, and when you can get it in a variety of flavors, all the better. Sure, not every one was particularly my thing, but that is why they have all the choices, so you can find one you like. And really, it is just a great excuse to try as many different pieces of cake you can to find the one to tantalize your taste buds. You can never have too much cake or too much frosting. I don't care what anyone says! Now where's bring me my next cake roll slice!